Sedan and hatchback will show up in L.A.
We still wonder why Mazda doesn't sell more cars. They're the darling of auto critics everywhere, but sales aren't commensurate with their quality, style, and driving thrills. We've loved every model we've driven. The Mazda6, CX-3, CX-5, Miata, and CX-9, as well as the Mazda3 sedan and hatchback. But the 3 has been around long enough to warrant a redesign, and we've been teased with a shot of the redone hatchback and sedan before they bow at the L.A. Auto Show at the end of this month. We can't wait. 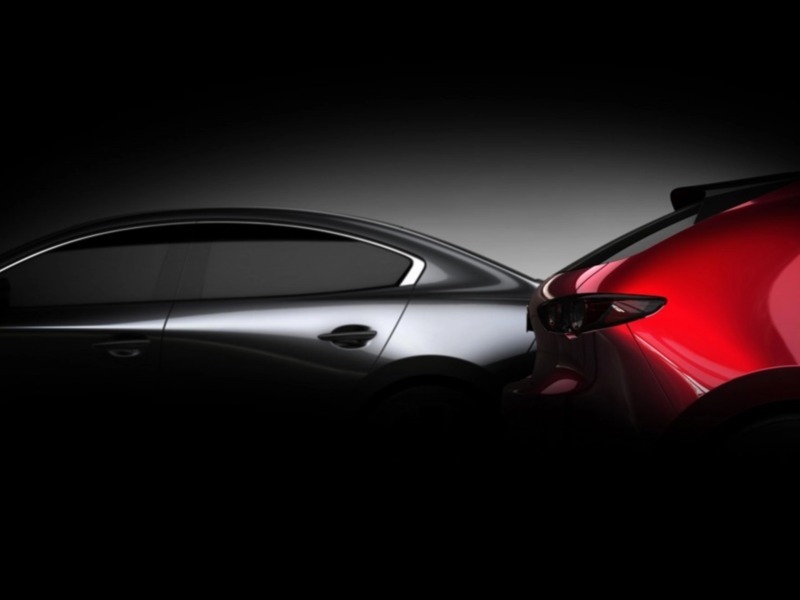 If the new Mazda3 looks anything like the Kai Concept, it'll be spectacular. Every single one of Mazda's cars and crossovers utilizes the Kodo "soul of motion" design language, and the new 3 will be an evolutionary progression of Kodo, which means the fluid but athletic look will remain. By all accounts, the next-gen Mazda3 will be more refined and mature, and that the Kai concept (above) is the inspiration for it. That's very good news, indeed. The Kai concept's tail section and stance are both smooth and aggressive. Rumors have swirled that the new Mazda3 won't just look better but will drive better (which is hard to imagine since the current 3 is excellent). The new Skyactiv vehicle architecture and powertrain technology will show up here, and there should be a new Skyactiv-X engine that should be both more potent and more efficient. With every successive generation of the Mazda3, it improves substantially. The formula of a well-designed and affordable car that has superb ergonomics and driving dynamics continues. Mazda is committed to making the next 3 more upscale, better to drive, and better to look at. It looks like Mazda will make good on this reveal on November 28th. Two generations ago, the 3 looked like this. It's come a long way. As soon as photos drop of the new models, we'll get the information to you. Expect great things from this very exciting brand.